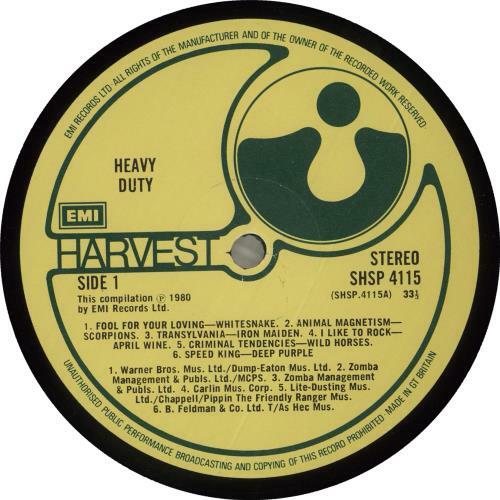 VARIOUS Heavy Duty (1980 UK 12-track vinyl LP compilation on the Harvest label, including Transylvania & Sanctuary by Iron Maiden, along with material from The Scorpions, April Wine, Atomic Rooster, Riot & Whitesnake. 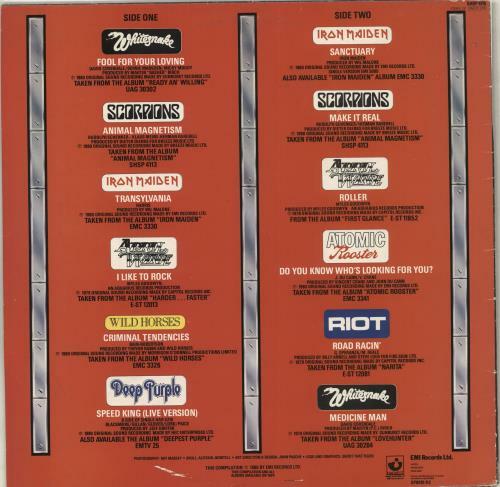 The glossy picture sleeve displays only light wear and the vinyl remains excellent with only light signs of play SHSP4115). B4	�Atomic Rooster	Do You Know Who's Looking For You?